Looking for a new home in Marietta brings up many factors to consider. Location, amenities, and neighborhood design are highly important. Of course, the quality and design of your home will play the biggest part in your decision. Manget maintains a concept of complementary yet diverse options with Brock Built floorplans that allow for homes with unmatched range. Keep reading to learn more about our unique designs offered in this Marietta Square neighborhood. One of the features that more and more people are looking for these days in any home is a master bedroom on the main floor. With Brock Built Homes “master on main” floorplans in Mangêt, you can have the square footage of a larger home for entertaining and still enjoy the conveniences of a flat or single story. 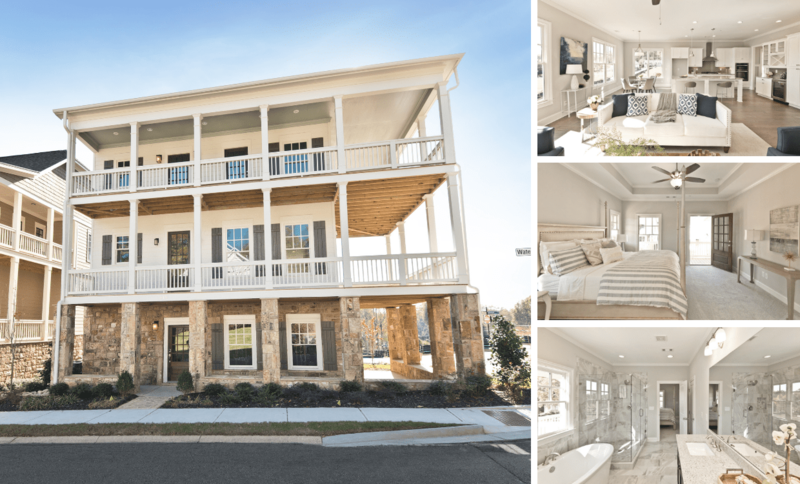 While many builders only offer plans like this in their retirement communities or 55+ communities around Marietta, Brock Built brings this popular plan to homebuyers in Mangêt. Our unique Marietta Square neighborhood even expands on this concept to include more options. Such as, 4th bedrooms, finished and unfinished basements, large entertaining areas, and large open kitchens. Craftsman style homes are timeless and well known for maintaining their value. 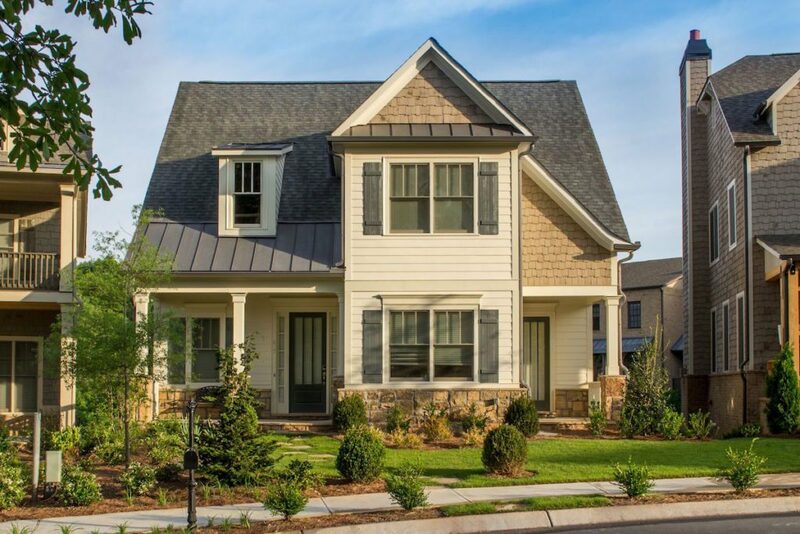 In Mangêt, just off of Marietta Square, we offer craftsman style homes that have to be seen in person to appreciate. The unmatched quality, design detail, and curb appeal are much more than just aesthetic. True quality is found in these well built and energy efficient homes. 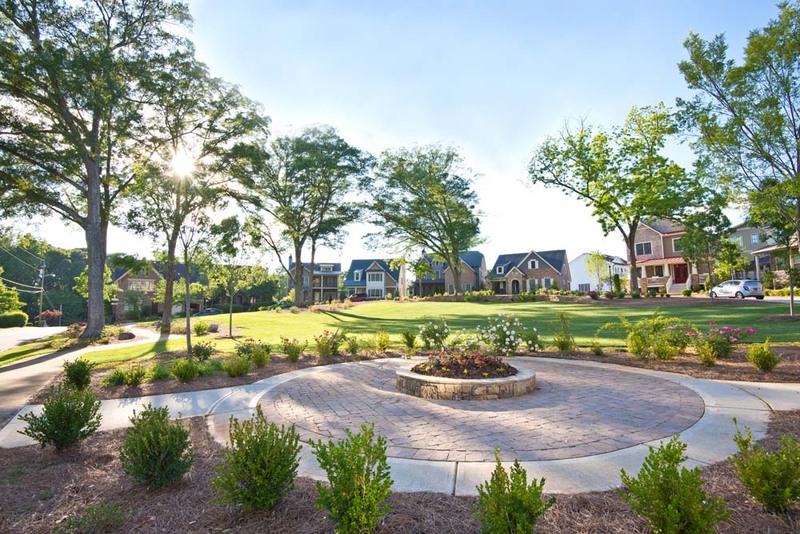 The site plan for Mangêt offers one of the best mixed development communities in metro Atlanta. Townhomes here are designed to fit with the look and feel of the neighborhood, combining craftsman touches with industrial revival design. You won’t find a better marriage of modern and traditional design than these incredibly posh homes. With community gardens, walking paths, and even triple covered porches on some of the homes, Mangêt is far from the ordinary cookie-cutter neighborhood. There’s something here for everyone. Families love the large floorplans with 4, 5, or even 6 bedrooms. 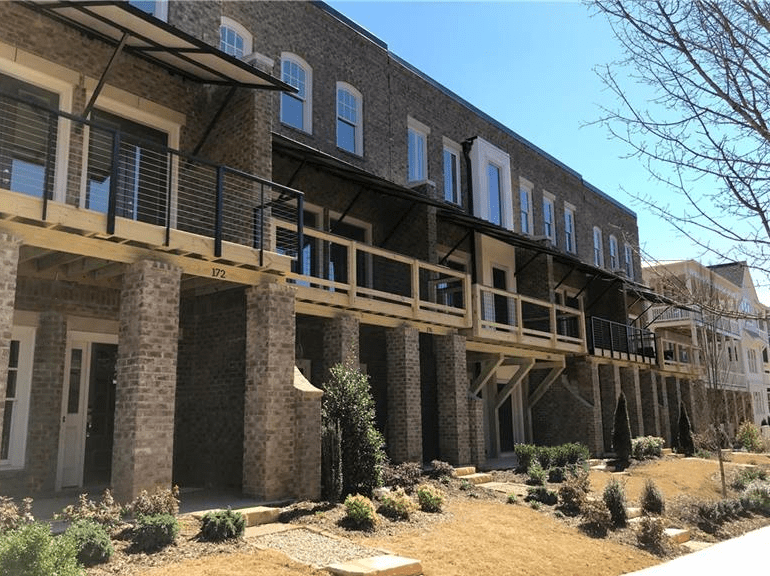 Those looking for a master on main without having to consider a 55+ community are in love with the freedom to stroll through green gardens and bloom filled walking paths. Everyone enjoys the short walk to Marietta Square with dozens and dozens of options for dining and entertainment. Come out and visit Mangêt this beautiful weekend. Enjoy some of the best scenery and food nearby Marietta Square has to offer. The expectations you have for a mixed development will be set to a new high!